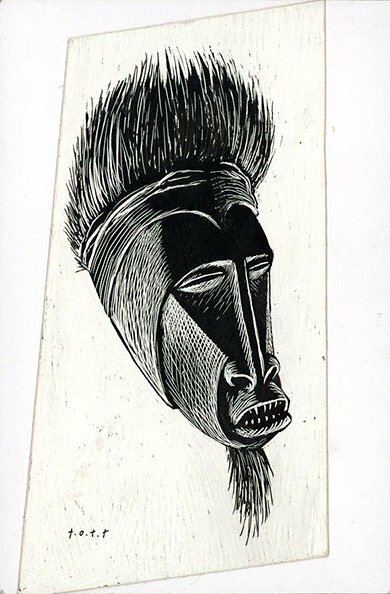 Beautiful illustration by Ott, of an African mask. Scratchboard, 3 x 6 inches (uneven). Excellent condition. Signed by Ott.